There are many beauty pageants that are running all around the world. One of them is Miss World. It is the oldest running international beauty pageant. It was started in the United Kingdom by Eric Morley in 1951. After his death in 2000, Morley’s widow, Julia Morley, co-chaired the pageant. Miss World pageant is one of the three most beauty contests in the world along with its rivals, the Miss Universe, Miss Earth and Miss International contest. This group is known as Big Four international beauty pageants. The current Miss World is Manushi Chhillar from India. She was crowned on 18 November 2017 in Sanya, China. Here in the list are the winners of Miss World pageants from past 10 years. On 25 June 2017, Manushi Chhillar took part in the Femina Miss India 2017 competition. She represented the state of Haryana. During the competition, Chhillar was crowned Miss Photogenic. After this, she went on to win the competition as well. Thus she earned the right to represent India at the Miss World 2017 competition. Manushi represented India at Miss World 2017. In this, she became a semifinalist in the Top Model, People’s Choice, and Multimedia competitions. She was the winner of the Head-to-Head Challenge from Group Nine and co-winner of the Beauty with a Purpose competition. Her Beauty with a Purpose project was Project Shakti.The campaign’s goal is to spread awareness about menstrual hygiene.For this, she visited about 20 villages and treated over 5,000 women. She was crowned Miss World 2017 on 18 November 2017, by outgoing titleholder Miss World 2016 Stephanie Del Valle from Puerto Rico in the finals in Sanya, China. By winning this title she became the sixth Indian woman to win the crown. She was the second runner-up in miss world 2008 beach beauty competition. Miss Mexico was the winner and Miss South Africa, the first runner-up in this contest. She won the Miss World Top Model competition on 3 December 2008. On 13 December, she was crowned the new Miss World at the finals in Johannesburg, South Africa.She won the title after beating 108 contestants. She won the two runner-ups. The first runner-up was India’s Parvathy Omanakuttan and the second runner-up was Gabrielle Walcott of Trinidad and Tobago. Ksenia is the second Russian contestant to win Miss World. The first Russian beauty to win this contest was Julia Kourotchkina in 1992. Kaiane Aldorino made history on 12 December 2009. This was by becoming the first ever Miss Gibraltar to be crowned Miss World. 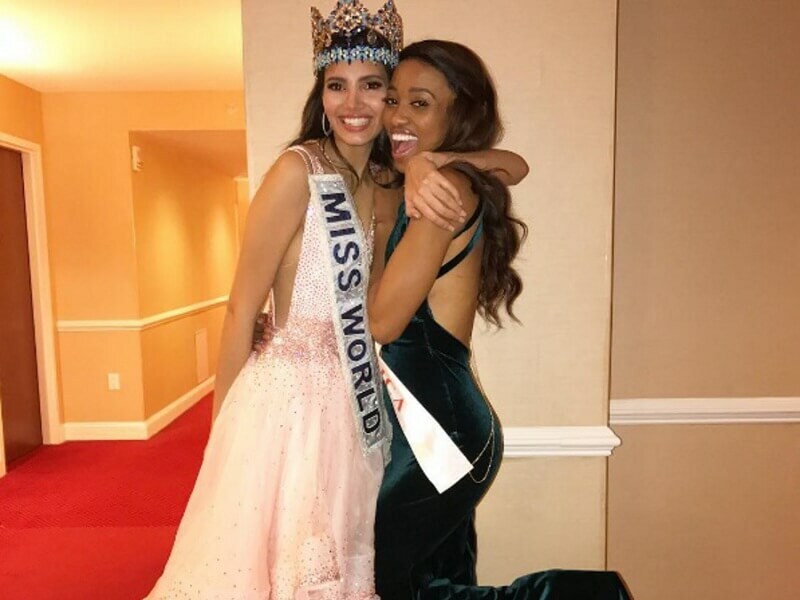 In fact, she was also the first Gibraltarian contestant to reach the semifinals of one of the major international pageants after receiving the title of Miss World Beach Beauty. After Aldorino was crowned by her predecessor, Ksenia Sukhinova of Russia, Gibraltar burst into celebration as many Gibraltarians took to the streets to show their happiness. Supporters expressed their happiness in many ways. They waved the flag of Gibraltar, chanted as cars honked their horns, and fireworks were set off. Mills was appointed as Miss World America 2010. She represented her country at the 2010 Miss World pageant which was held in Sanya, China. She placed first runner-up during the Miss World Beach Beauty fast track which was held on October 19 and second-runner-up in Miss World Top Model which was held after 4 days on October 23. She then eventually became the winner of Miss World 2010 on October 30. She reached her destination by beating early bookie’s favorite Mariann Birkedal of Norway who finished in the top seven. During her reign, Mills traveled to Australia, China, Hong Kong, Indonesia, Kenya, Korea, Malaysia, the Philippines, Singapore, Trinidad & Tobago, Barbados, Spain, Brazil, UAE, South Africa, Mongolia, Uganda, Canada, the United Kingdom and the United States. On November 6, 2011, Sarcos won the 20011 Miss World pageant. It was held at the Earls Court Exhibition Center in London. During the Miss World Beach Beauty event, she was placed, third runner-up. This was held on October 29. She was also held the fifth-runner-up in Miss World Top Model which was again held on October 29. After all the struggles she became the eventual winner of Miss World 2011 on November 6. Along with this, she also became the sixth woman from Venezuela to capture the title. 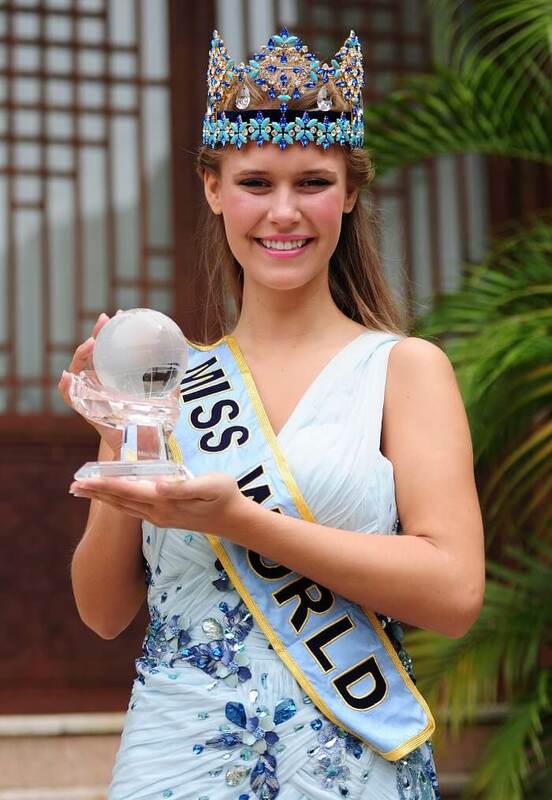 On 18 August 2012, Yu won the 2012 Miss World pageant. This was held at Dongsheng Fitness Center Stadium, Ordos City, Inner Mongolia, China. Yu was also named Miss Talent. It was here that she performed her winning talent—Chinese folk song on stage during the final.When she was asked about her experience of winning the Miss World crown, she replied:“Surprised and very happy. Winning Miss World is a big responsibility; there is so much to learn. I really admire Zhang Zilin, my country’s first Miss World winner, I hope to follow her example, but at the same time make my own mark. I very much look forward to working with the Miss World Organisation sharing my compassion and love and helping to improve the lives of many people throughout my year of reign”. 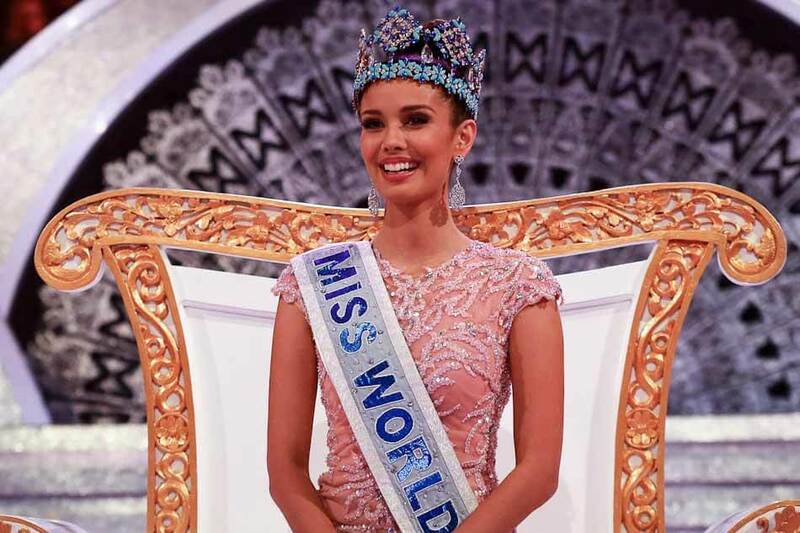 Megan Young was crowned as Miss World 2013 in Bali, Indonesia. She was the first Filipina to win the title of Miss World since its creation in 1951.She also won the “Top Model” competition, was placed second in the “People’s Champion,” fourth in the “Multimedia Challenge” and fifth in the “Beach Beauty” contest. Apart from this she also received the Continental Queen of Beauty title as Miss World Asia 2013 which is the highest ranked contestant in the Asian region. As Miss World 2013 she has traveled to England, France, United States, Haiti, Indonesia, China, Puerto Rico, Hong Kong, Russia, India, Barbados, Spain, Sweden, Colombia. Rolene won her first title at age 15. It was when she won the Elite Model Look South Africa. The competition was held in 2007. Strauss was later placed in the top 5 of Miss South Africa 2011. Here Melinda Bam became the winner. After three years She returned to compete, representing Bloemfontein.Now she was crowned Miss South Africa in 2014. As Miss South Africa 2014, Strauss was expected to compete at both Miss Universe 2014 and Miss World 2014. But since she won the Miss World 2014 contest, she could not compete at Miss Universe 2014. Ziphozakhe Zokufa, her first runner-up, replaced her. She represented the country at the Miss Universe 2014 in place of Rolen.After being crowned Miss World 2014, she undertook activities on behalf of her responsibilities throughout the year. In her region, she traveled to Hong Kong, China, Indonesia, India, Philippines, Sri Lanka, Mexico Jamaica, United Kingdom, and the United States. After this, she passed on her crown to Mireia Lalaguna of Spain on December 19, 2015, in Sanya, China. She represented Spain at Miss World 2015 pageant. This was which was held in Sanya, China. She was crowned Miss World 2015 on 19 December 2015. It was for the first time that Spain won Miss World crown. It was only the second major global pageant title for Spain.It was after Amparo Muñoz, who was crowned Miss Universe 1974. During her reign, she has traveled to Indonesia, Puerto Rico, United Kingdom, United States, India, Kenya, Russia, China, Philippines, Korea. Del Valle competed in the Miss Mundo de Puerto Rico 2016 pageant. She represented the municipality of Toa Baja where she won the Talent competition. She also won the title. She represented Puerto Rico at the Miss World 2016 pageant. It was held in Washington, D.C. The United States. It was held on December 18, 2016, where she was appointed Miss World 2016. This was the second time Puerto Rico has been appointed to the Miss World crown. Zhang Zilin is a Chinese actress, singer, fashion model. She is the beauty queen who won Miss China World in 2007. Later she was crowned as Miss World 2007. She was shortlisted as one of the top ten professional supermodels in 2006.This was during the Chinese Fashion and Culture Awards. She then participated in Giorgio Armani’s 2007 Autumn/Winter Collection show in Paris. After this, she earned herself the title of “Top Model of the Year” from New Silk Road modeling agency. She participated in Miss World and due to her smartness and intelligence On December 1, 2007, she was crowned Miss World 2007 at the Crown of Beauty Theatre In Sanya, Hainan. She traveled to the United Kingdom, the United States, Russia, Mexico, Trinidad & Tobago, Vietnam and South Africa during her reign.